Lollipop Fundraisers are some of the highest profit fundraisers out there reaching the 55% profit mark off of one case. 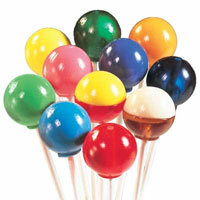 We can help you locate over 40 different type of lollipop fundraisers. We can even help you locate themed lollipop fundraisers such as lollipops for sports (football, soccer, baseball, basketball and others), lollipops for holidays (easter, christmas, halloween and others), and lollipops for a cause (cancer, child abuse, leukemia, depression and others). If you are looking to purchase Lollipop Fundraisers, please fill out the short form below or call (866) 674-7317 and we will find the fundraising dealer that will provide the best profit for you and your group.